CT Tech Group Limited was registered in Hong Kong in 2011 as a distributor and agent of semiconductor components. 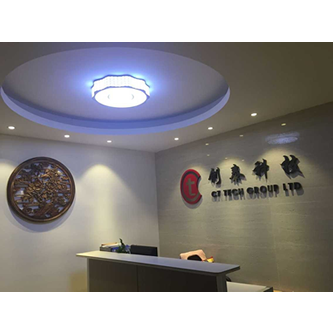 CT Tech’s business expertise in electronic components sourcing evolved strongly from a business model which migrated from business partners deeply involved in electronic assemblies manufacturing to procurement and sourcing services for local indigenous Chinese companies. CT Tech is seen by her business partners and peers as one of the fastest growing and progressive companies with the ability to leverage relationships and create win-win partnerships with her customers and suppliers in the semiconductor and electronics arena. CT Tech offers full turn key sourcing and procurement of electronic components to enable her customers to achieve excellent on-time manufacturing and excellent quality. As the business models in China continue to evolve, CT Tech is well anchored into broad and growing market segments covering customers engaged in the manufacture of Smartphones, Tablets, Digital Displays, Automotive, Survelliance. CT Tech holds the franchises for key core-chip semiconductor suppliers, Mediatek and Hisilicon, both very renowned semiconductor brands. Key relationships are fostered with indigenous emerging OEMs. CT Tech’s ability to influence the AVL qualification of peripheral components, such as TI, Maxim, ADI, NxP, Micron, for reference designs in conjunction with her core-chip suppliers enables CT Tech to provide strong win-win business pull through leverage for her partners, distributors, agents and independent design houses. In summary, key advantages and catalysts for increasing penetration, rapid revenue growth and deep business engagement for the agencies that engage her services. CT Tech has also expanded into authentication services for genuine end-product identification. The company continues to expand rapidly while providing and delivering the value desired by her customers and her suppliers.